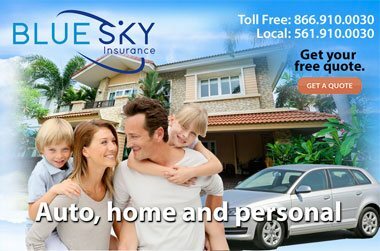 Put Blue Sky Insurance agency in Boca Raton to work for you by finding you and your family the best Florida health insurance policies at the lowest rates possible. 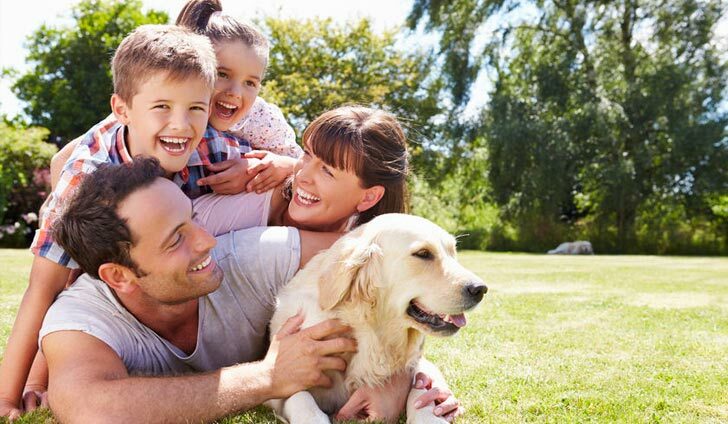 One of the most important insurance coverages you will need in life is health insurance for you and your family. If your employer doesn’t provide Florida health insurance coverage or if you are self employed or a student you will need to insure yourself. If you do not properly insure yourself with adequate protection from high medial bills you risk long term financial instability for having to pay out of pocket for all your medical expenses which can run into the hundreds of thousands. It is important to choose an agent with experience and one that is wiling to go that extra mile to ensure you have the best protection at the lowest rates available. This is especially true today as costs rise you need the right Boca Raton insurance agency that will find you the lowest rates and provide the financial protection you need. These types of protection offer different benefits and premiums so we will take the time to understand your priorities and budget to make sure we find the right Florida health insurance policy for you and your family. 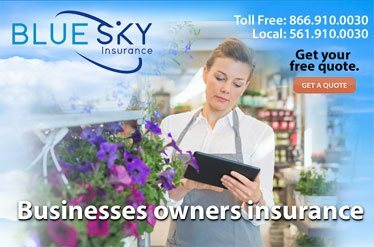 Blue Sky Insurance agents are experienced and certified to provide you with the best Florida health insurance that suits your needs at very competitive rates. We will have a consultation to walk you through the application process, the different provider networks, help you understand the benefits of each policy and plan pricing. Our helpful agents will put together the information on each policy choice and present to you a easy to understand side by side comparison so you can easily choose the right Florida health insurance plan for you. We also assist individuals and families with Florida Medicare plans, Florida Medicare Supplement options and policies on the Health Insurance marketplace. • Bronze: Covers up to 60% of medical costs. • Silver: Covers up to 70% of medical costs. • Gold: Covers up to 80% of medical costs. • Platinum: Covers up to 90% of medical costs. • Catastrophic: Health insurance could pay all medical costs only after the deductible is reached. 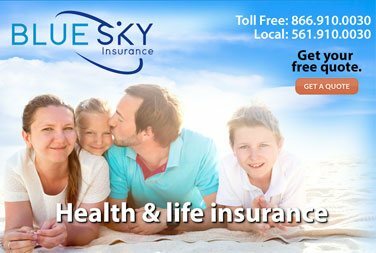 Get a Florida health insurance quote online from Blue Sky Insurance® or call us at 866-910-0030 for a free consultation. 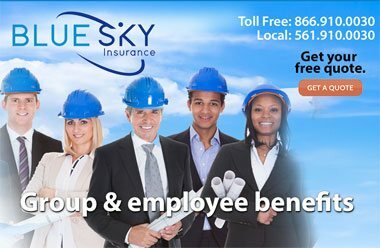 When you are insured through Blue Sky® you become part of our family and look forward to making sure you are well taken care of.